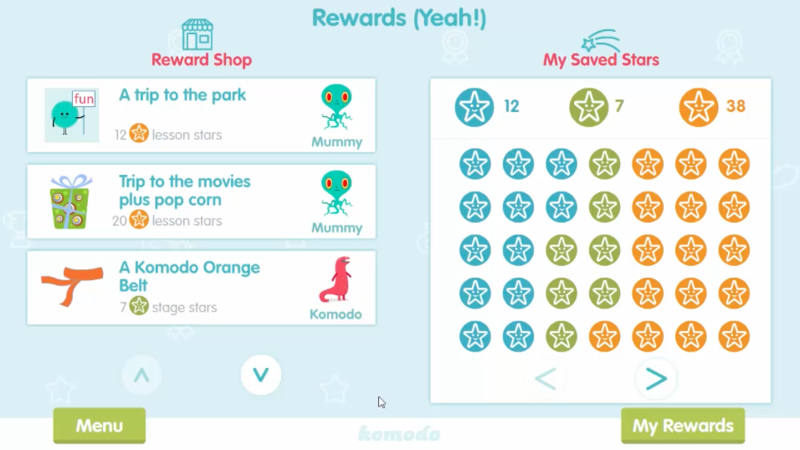 The Komodo reward system helps provide extra motivation for little mathematics learners. 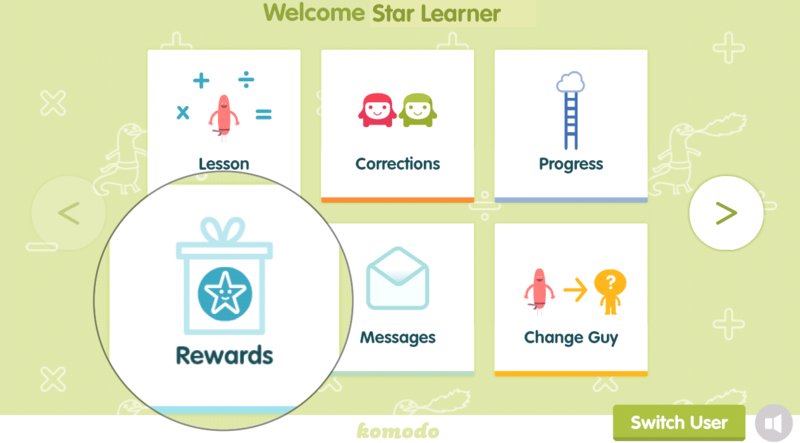 When a learner completes lessons, stages and levels, they earn reward stars based on how much effort they have put in. 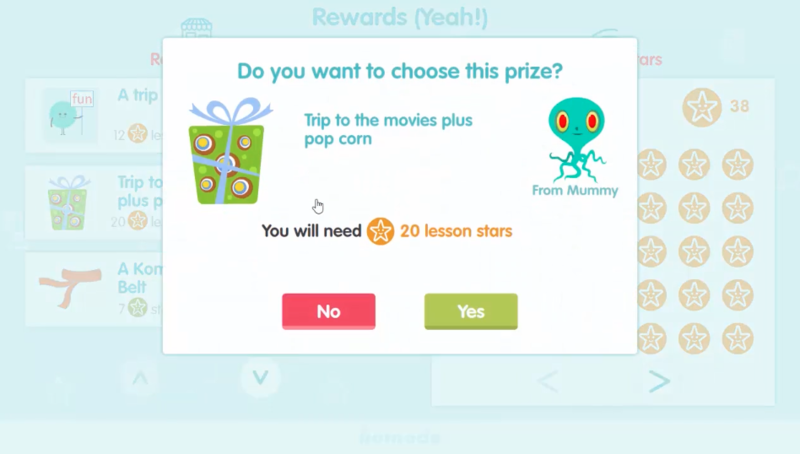 To earn a lesson reward star, (the orange ones) learners need to try all the questions and do all the corrections in a lesson. 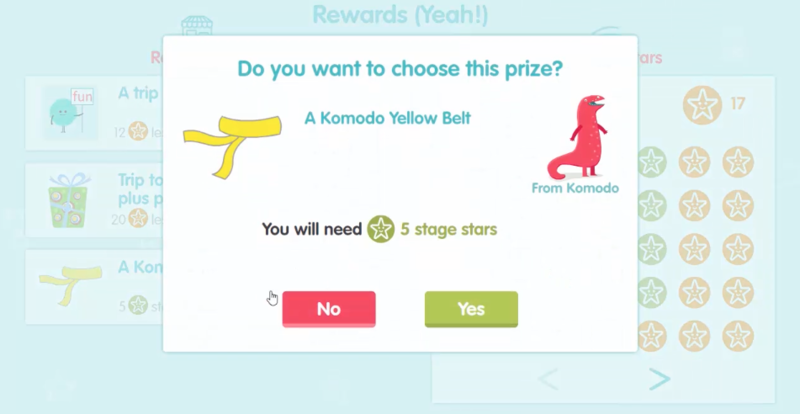 A stage reward star (green) is awarded for finishing a Komodo stage. 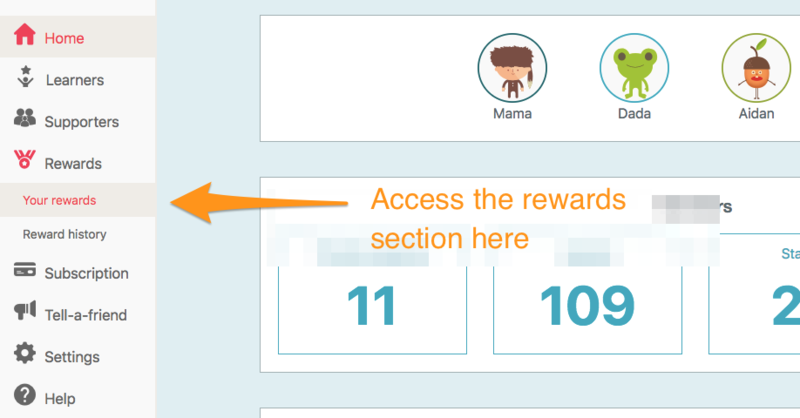 And a level reward star (blue) is given for completing a level. It takes a big effort to complete a level so this star is worth the most. 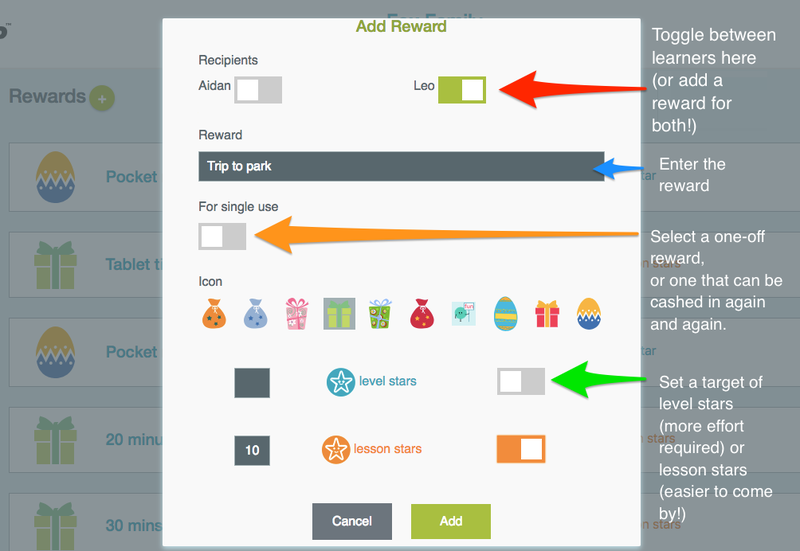 Here you can add new rewards for learners and set how many stars each reward is worth. Take me to see some budget friendly rewards ideas!